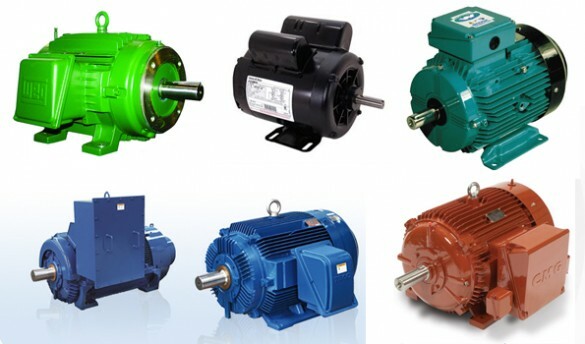 Light industrial motors with rolled steel body construction, available in B56 frames and IEC mountings, Customised customer requirements available. Limited sizes held in stock with all others available on order. 3 Phase Motors (Regal CMG) held in stock PPA range – a premium mining specification of cast iron construction. Rated IP66. we carry in stock 1.1 kw – 11 kw although there are many more options available on order. Foot mounted with Flanges available for fitting if required. 3 Phase Motors (CEG-Brook) held in stock W series – Aluminium Construction, Totally enclosed, fan cooled. Rated IP55. Foot mounted with flanges in stock for fitting if required. We carry in stock 2 pole or 4 pole from .25 kw – 7.5 kw. Other brands such as WEG and Teco, Fasco etc are readily available on order. Just phone to arrange. Bearings/Service – Your motor can be stripped & serviced in a quick turn around time by arrangement to meet customers urgent needs.